If you are one of the millions of people suffering under our broken healthcare system, take heart. Industry leaders who recognize your pain actually exist, and are trying to help. Changing the system is a huge and thankless task, because the bulk of the industry is profit-driven and resistant to giving up the status quo. But these individuals and groups are using different ways to connect with increasing numbers of people, and they are becoming louder and stronger. Will it be enough? Time will tell. If you’re interested in knowing more about the problems in healthcare and what you can do to help—and protect yourself!—I suggest following one or more of these three advocates. In his most recent video, he explains why the push for single payer, or Medicare for all, is unfortunately not as good an idea as it sounds. 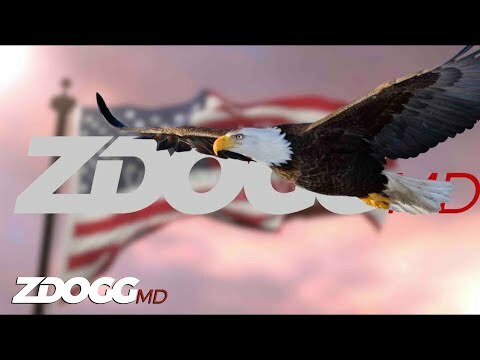 Follow ZDogg on Facebook or YouTube, or sign up for his daily podcasts. What can I say about Elisabeth Rosenthal other than I love, love, love her work. Although she trained as an MD, she chose healthcare journalism over clinical practice. She spent more than 20 years with the New York Times and wrote a brilliant series of articles on the high cost of healthcare in this country. A few years ago she became an editor for Kaiser Health News, and most recently published an amazing book, An American Sickness, which explores how and why healthcare is broken in this country, and what needs to be done to fix it. But it’s more than just a boring, forensic look at the system; she offers readers constructive tips for navigating the system, such as how to protect yourself during a hospital stay, or how to identify and fight surprise medical bills. I gave a copy of this book to a niece who recently began working in the healthcare industry. I hope it opens her eyes to how unfair and costly our system is, and inspires her to be another leader in the fight for better care. I also read on Twitter that Dr. Rosenthal’s book is being used on college campuses to lead discussions about healthcare policy and change. Yay! Read this book! And follow Dr. Rosenthal on Twitter. The Lown Institute is a think tank of health leaders who have been leading the fight against high-profit, low-value care that is unaffordable, inaccessible or even harmful. We seek a society where health and health care are seen as rights; where physicians and nurses serve as healers and as advocates for those who are vulnerable and most in need of care; where patients are safe from avoidable harm; and where spending on health care exists for the benefit of patients, communities and nations. Their grassroots social movement, the RightCare Alliance, welcomes the public to become more informed and involved through community events and social media. Many cities have local chapters, so if you’re interested, check out the website. They’ve named the award the Shkreli, after the notorious man-boy Martin Shkreli, one of the first big Pharma bosses (Turing Pharmaceutical) to jack up the price of an old, cheap drug by several hundred percent. The drugmaker Allergan, for selling it’s highly profitable dry eye drug, Restatis, to a native american tribe so it could fight patent challenges and continue to sell the drug at brand-name high prices. The Sackler family and their drug company, Purdue Pharma, for marketing OxyContin as a safe and effective treatment for chronic pain, leading directly to the current opioid crisis. Allergan again, as well as other makers of prescription eye drops, for knowingly designing eyedroppers that use too much of the drug, resulting in waste and extra expense for patients. Oh, yes, and extra profits for the drug makers. Another drug company, Eli Lily, for raising the price on insulin year after year, and continually tweaking the recipe in order to extend their patent rights. A Seattle neurosurgeon group for overlapping surgeries (operating on more than one patient at a time) without informing patients or obtaining their consent. This happened in my hometown, and I posted about it at the time. You can follow the Lown Institute on Facebook or Twitter. It’s also a 501(c)(3) tax-exempt organization if you are interested in making a donation to support their very worthwhile programs.